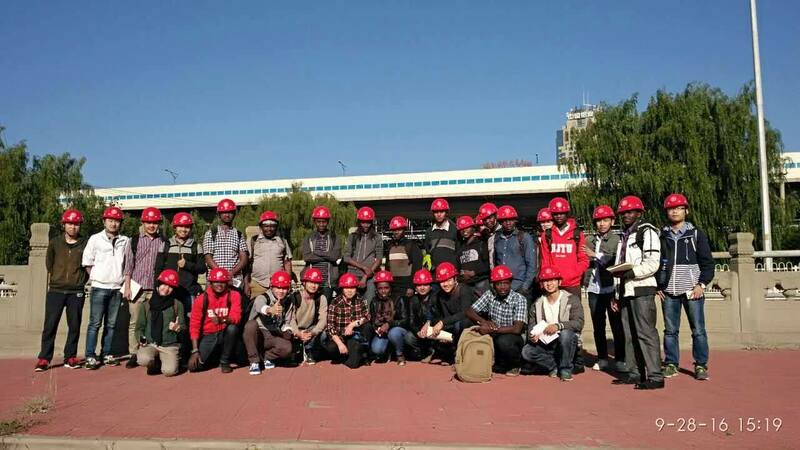 The bridge observation was conducted in the Civil Engineering Department of Beijing Jiaotong University. It is held in the 28th of October 2016, from 2:00-4:00 PM. 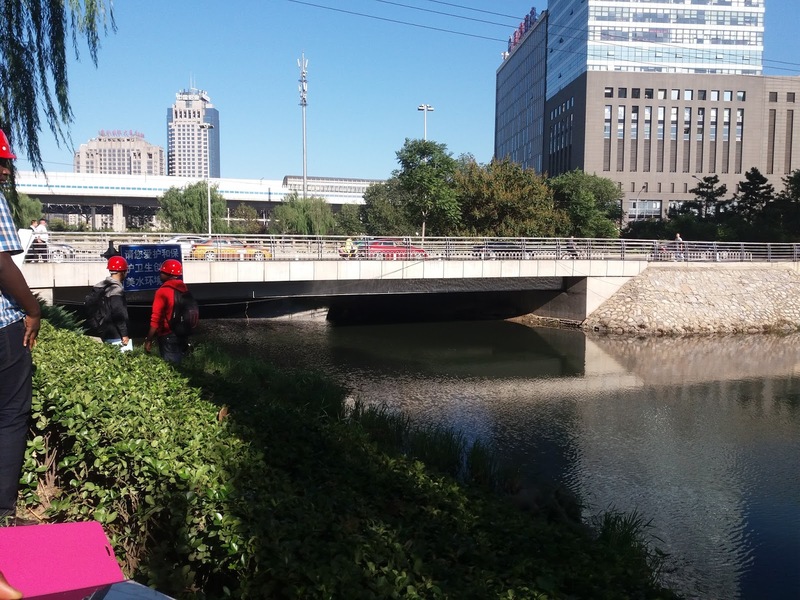 Taking place in the Haidian district, the assignment objectives are to observe and discuss about the bridges that exist in some sort of site. This includes the Beijing Exhibition Bridge, River Bridge of Gaoliang Inclined Street, and the 13# Metro Urban Line Light Rail Bridge in Sidaokou . 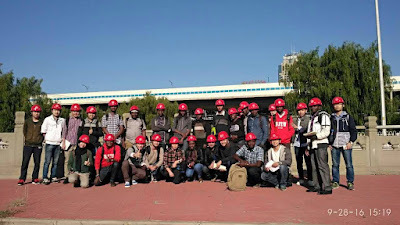 Master of Civil Engineering Class (English Program), Beijing Jiaotong University 2016. Master of Civil Engineering Group with Prof. Lei, Beijing Jiaotong University 2016. The observation is done by 7 group members which has a teacher for each group. A safety induction is held before the observation so the participants uses a safety helmet for the safety practice. 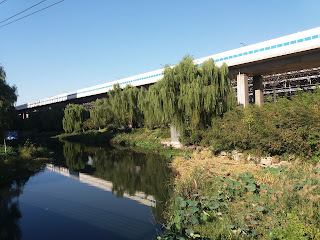 The bridge that aere mainly observed are the bridge near Beijing Jiaotong University, located in the Haidian District. The gualinqiao bridge is the bridge that crosses the Nanchang River. The Beijing Exhibition Bridge is called so because this bridge is a bridge that crosses the Gaoliang river near the north side of Xizhimen. The bridge which has two path roads. The bridges consists of two path roads to pass. This beam bridge is supported by several beams of some certain sizes. We can categorize this type by use as car Traffic Bridge. The materials mainly used are the concrete and steel structure. Beijing Exhibition Bridge was built in 2007. It is a continuous steel box girder bridge, two boxes of steel beam and reinforce concrete deck. Some piers are reinforce pier but some piers are composite pier. Sound barriers, the wall of this bridge, are arranged outside of the bridge. Steel boxes were connected by gusset plate with high strength bolt. The picture of the pier column with circular shape column. The connection are using the steel bolts for each single section of the bridge. It is predicted that the connection used for the bridge inside as the nosing type. Consolidation and articulated (equipped with fall prevention beam construction) method were used to connect the pier and girder. Consolidation pier can give full play to the flexible characteristics of bridge pier, the whole bridge pier swing bearing formation, and ensure the integrity of the bridges. 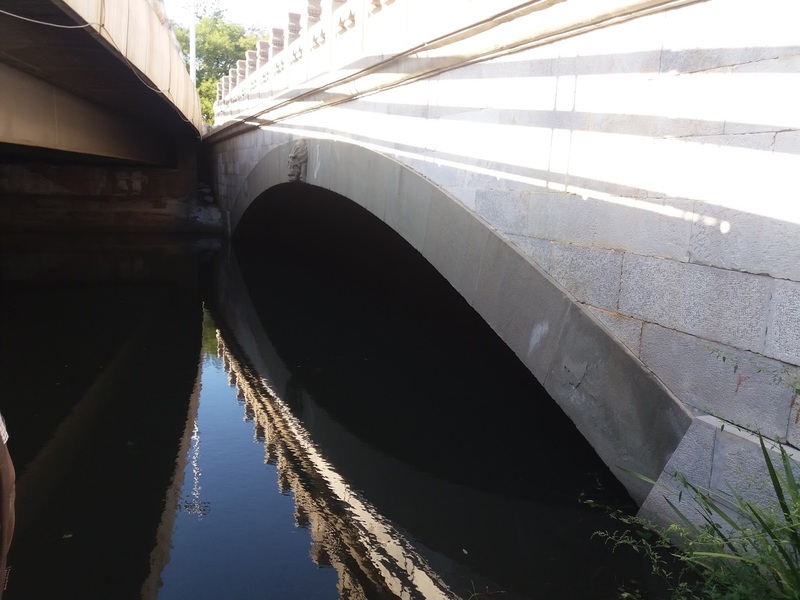 The drainage system they used from the bridge is to optimize the use and function of Beijing Exhibition Bridge. The underdrain is made of perforated pipe and suitable conduit that transports runoff from the structure to an appropriate drainage channel. The piers connection with the bearing between the deck and the pier of the bridge. The River Bridge of Gaoliang Inclined consist of two bridges. It is the new bridge of Xizhimen is located near the xizhimen station which exactly connects the road passing the river. This bridge is connecting the roads of Gaoliangqiao Byway when passing the Nanchang River. Meanwhile, the older bridge is located just beside the new one without demolishing it. This bridge has two abutments. It is a stone bridge and arc bridge. For back Kublai Khan in to yuan twenty-nine years (1292) built in and outside the door (now xizhimen) stone bridge. At the time of Ming and Qing dynasties, ancient standing here, the water clear bottomed out. It is said that this old bridge has a historical mean so it has to be still exist. This old bridge was built in 1970 and is between the two core which is the xizhimen bridge and xizhimen north bridge. The embankment using stones as a part to road or confines a waterway. Beside that it will prevent the sliding of the structure. The Picture of the gap between the new (Left side) and the old (right side) Xizhimen bridge. The old bridge of Xizhimen is an arch bridge shape bridge that has some historical relief and symbol in the middle of the bridge. 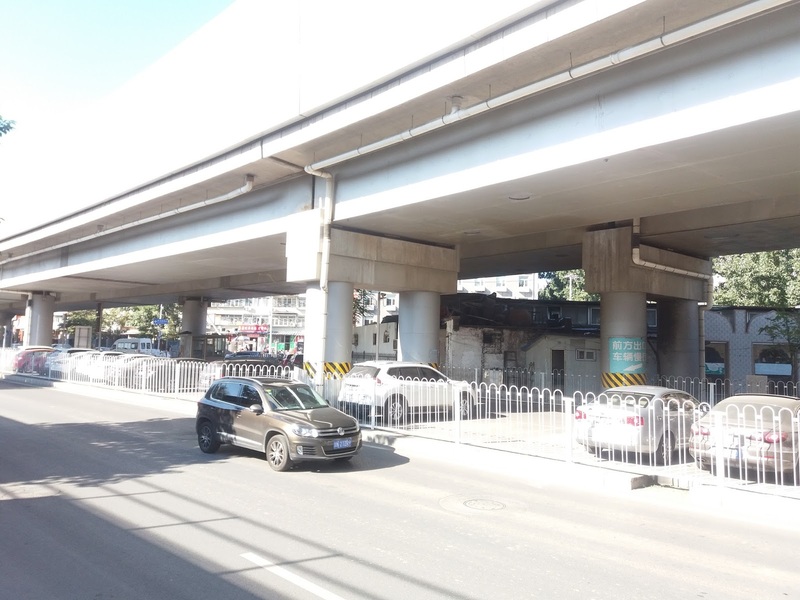 Xizhimen interchange is located in front of the Xizhimen subway station with a coordinate of approximately 39°56'20"N and 116°20'58"E. The Xizhimen Interchange bridge is well know as the overpass. This bridge is categorized as an overpass between the meeting line. Xhizimen bridge is made mainly with steel box. This is categorized as a composite bridge. Meanwhile, for the shape it is originated by the plate Girder Bridge. Same as the previous bridge. This interline bridge is used as car traffic bridges that connects different roads and to prevent the meeting point of intersections. The most common used with two lanes designed to carry car and truck traffic of various intensities. The xizhimen line 13 bridge connects the station to the subway of line 13. This site is located between the Nanchang River and the Beijing North Railway station. Three supporting of Hammerhead piers supporting the decks from the station of Xizhimen for the line 13. Column Piers used for the Line 13 Subway Bridge of Xizhimen, With the other squared column piers. 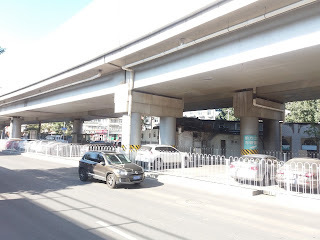 The line 13 bridge of xizhimen station in front of Gualinqiao road. 13# Metro Urban Line light Rail Bridge is variable cross-section steel box girder. The precast slab box composite bridge use shear connector in order to inherit and transmit longitudinal shear force between steel girder and concrete plat; to resist the effect between concrete slab and steel beam. 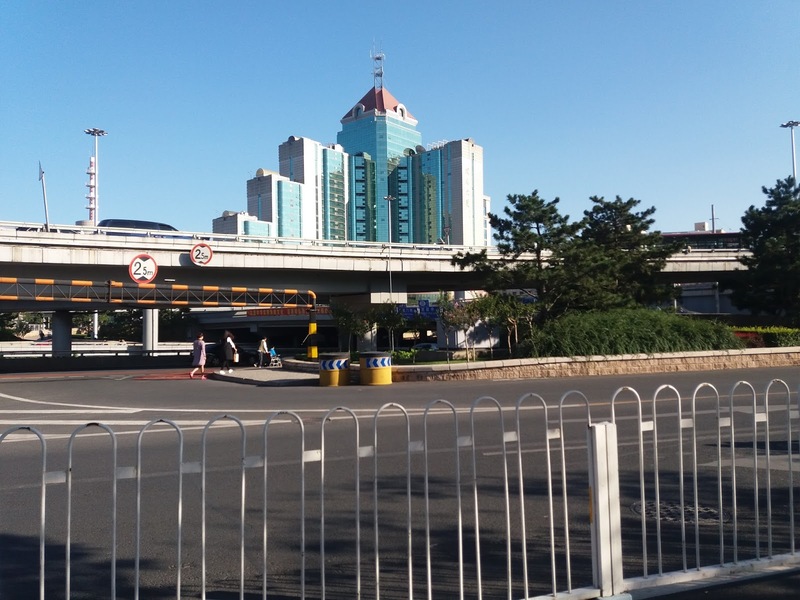 The Beijing North Railway station is located beside the Xizhimen Station. It is integrated to the railway. 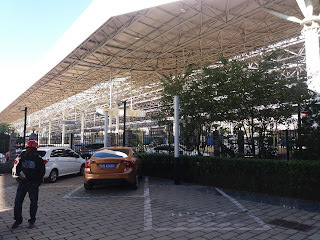 This station is mainly using the steel structures as the supporting for the roofing. The station is using the structural steel frame structures. The observation gave extra knowledge in directly sightseeing a bridge as a focus of study. The river bridge of Gaoliang Inclined Street connects the road from Gaolianqiaou to cross the river. 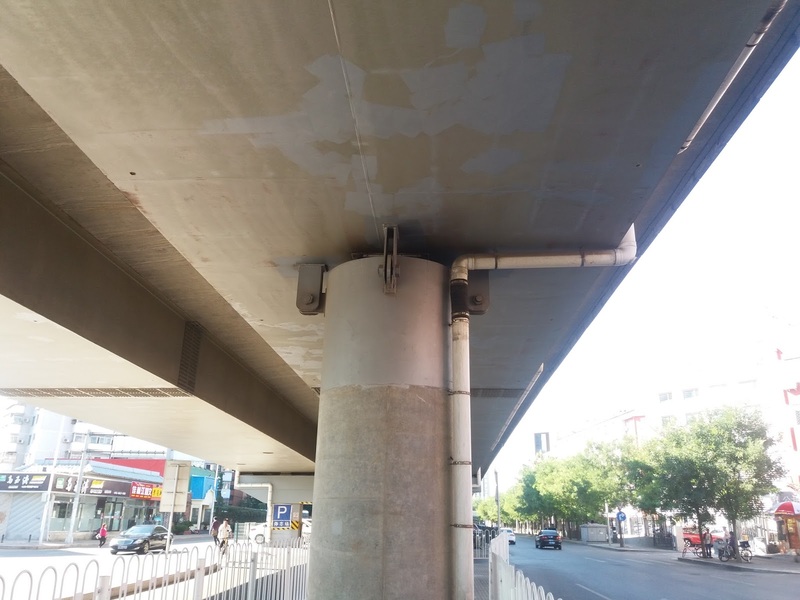 While the objects are to see some of the materials used and structural components that mainly exist, the use of the bridge has an important role for the traffic matters of the city, especially for Beijing as the capital and dense city. Mainly, the bridge in this area is said as the beam bridge with the combination of concrete box girder with concrete as the deck. Mostly the bridges are fixed bridges with no moveable parts. It’s designed to stay where they are made to the point they are deemed to be demolished or not. Jim J.Zhao, P.E, F.ASCE, Demetrios E. Tonias, P.E. 2012. Bridge Engineering: Design, Rehabilitation, and Maintenance of Modern Highway Bridges. Third Edition. New York: McGrawHill. Thanks Dewan for this news! time flies too fast!